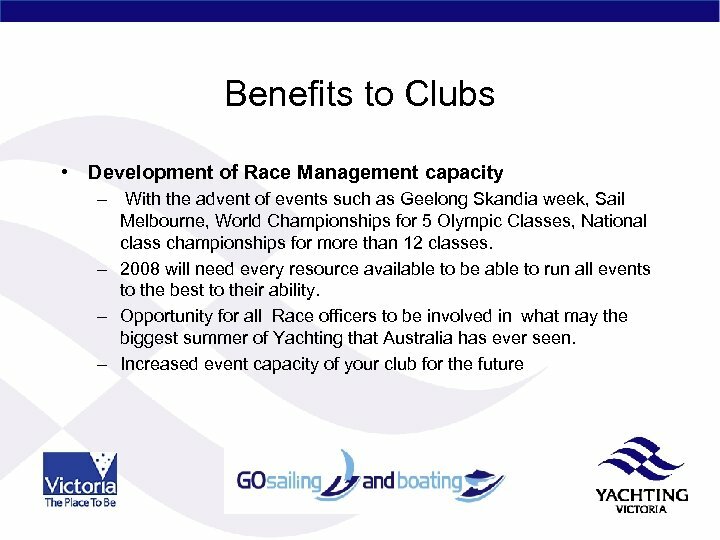 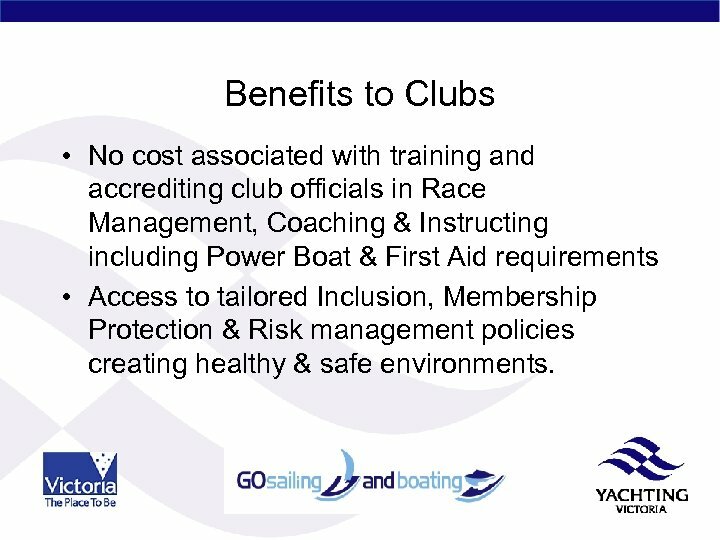 Benefits to Clubs • No cost associated with training and accrediting club officials in Race Management, Coaching & Instructing including Power Boat & First Aid requirements • Access to tailored Inclusion, Membership Protection & Risk management policies creating healthy & safe environments. 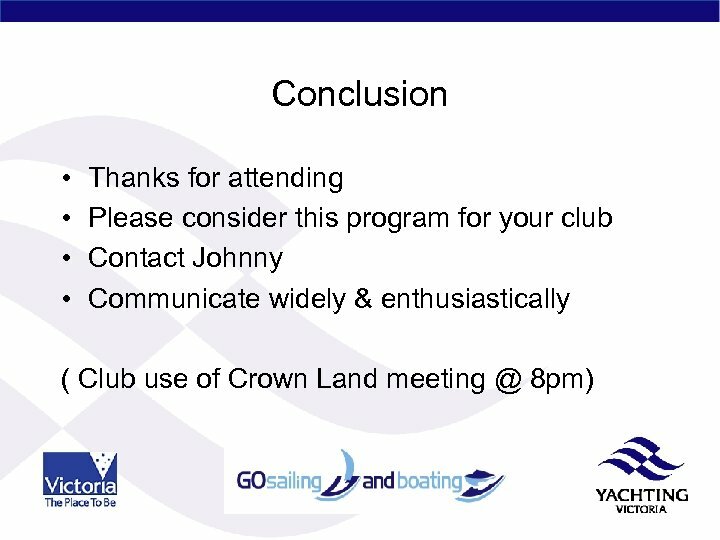 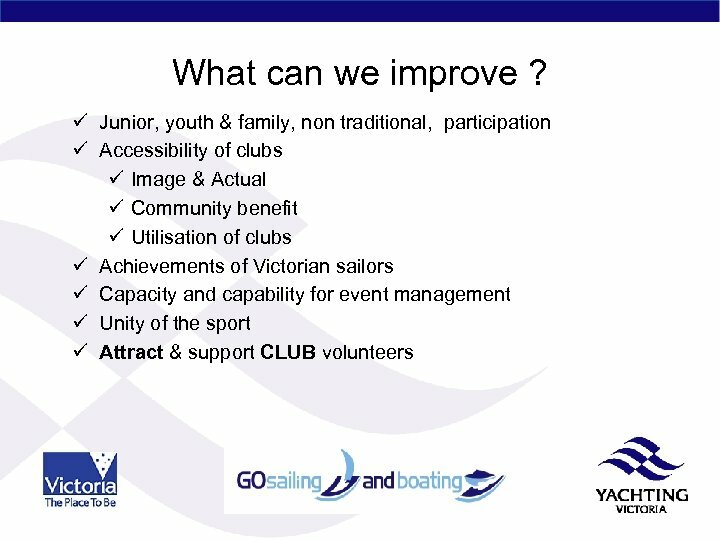 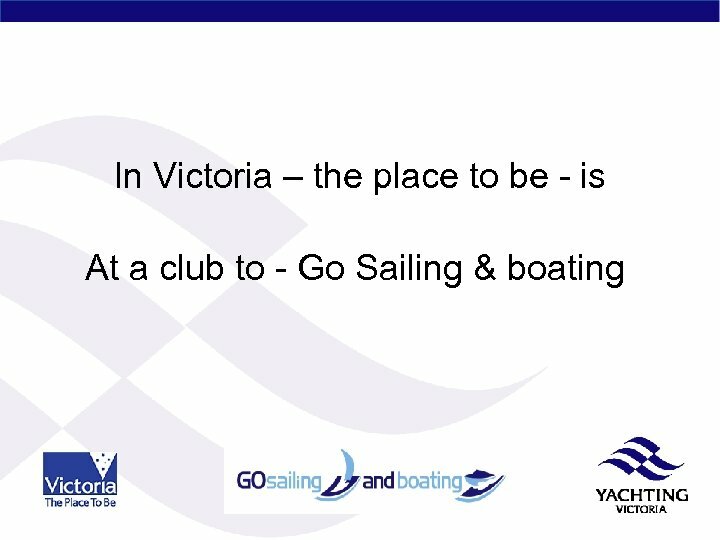 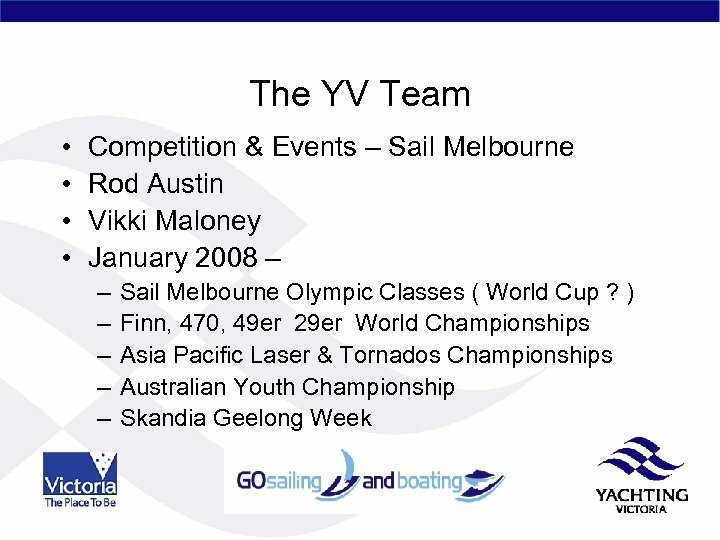 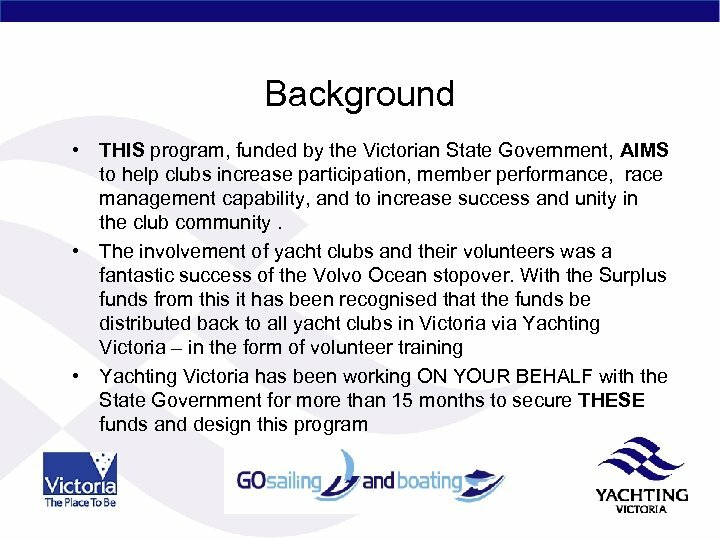 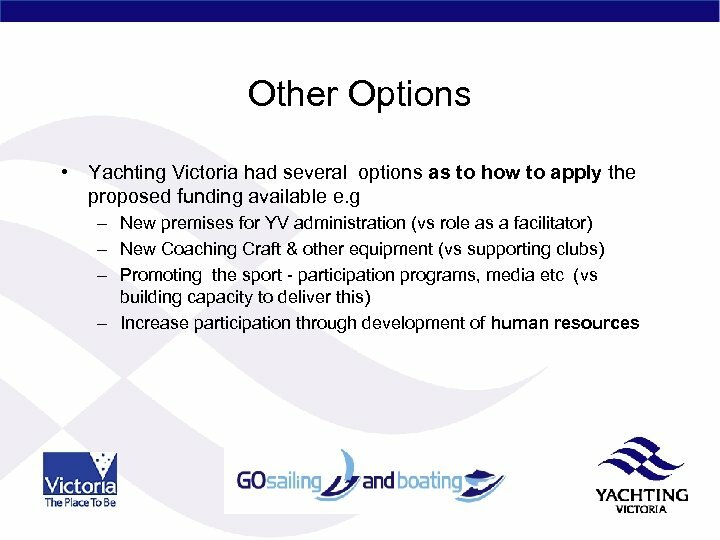 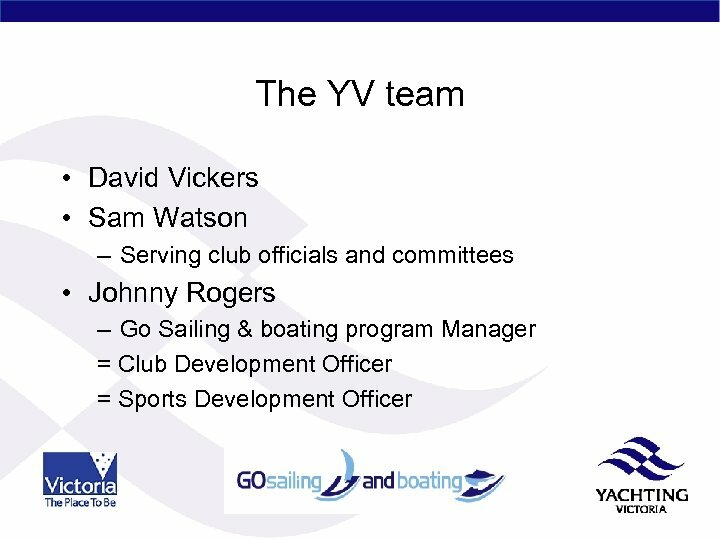 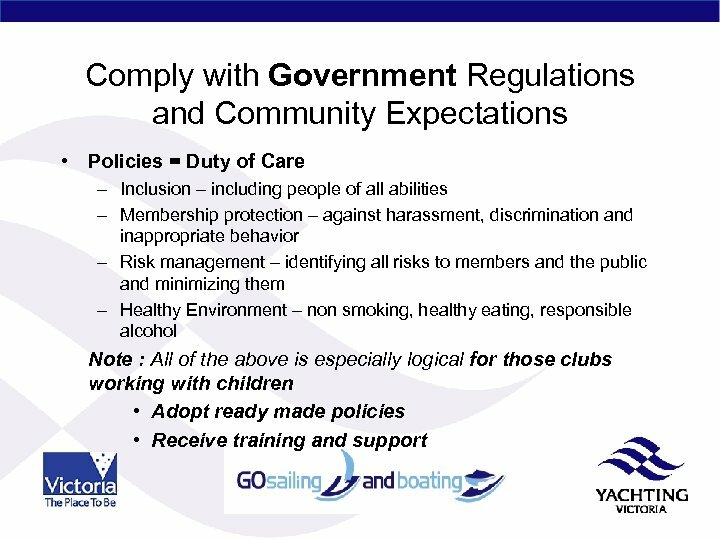 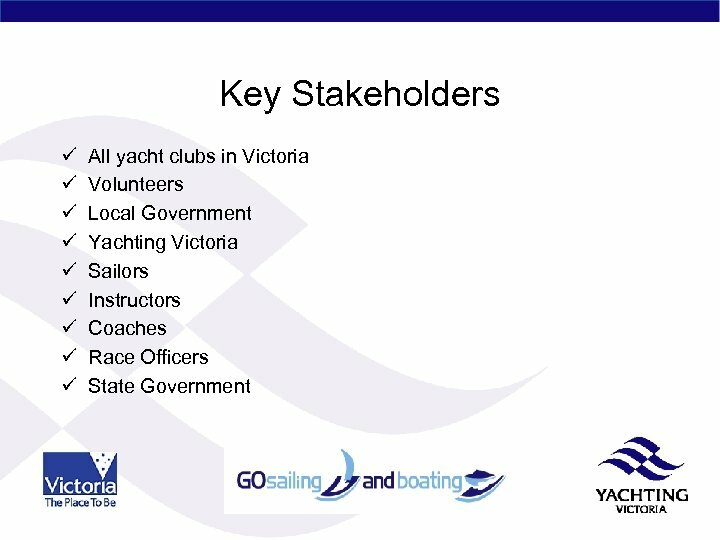 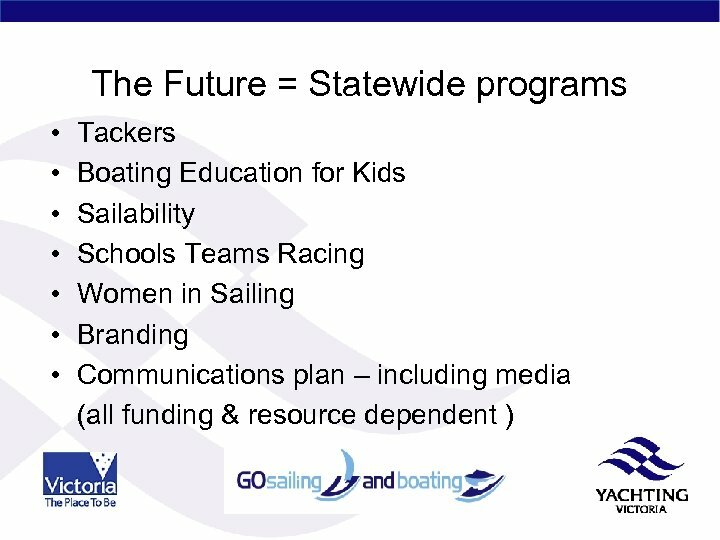 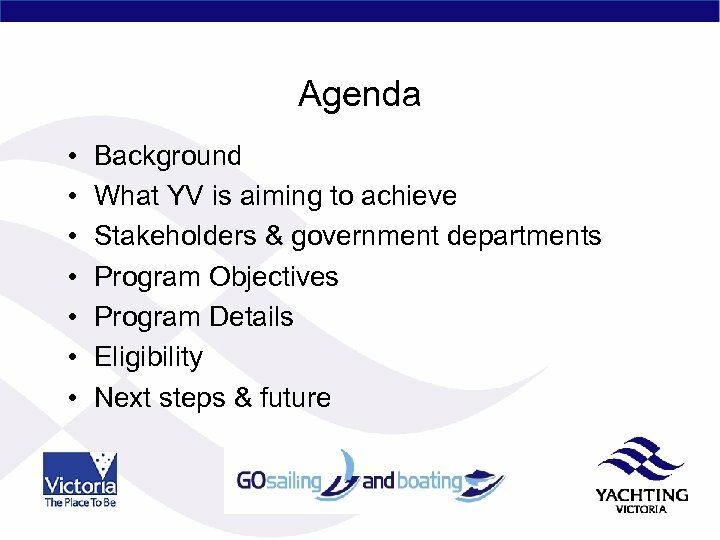 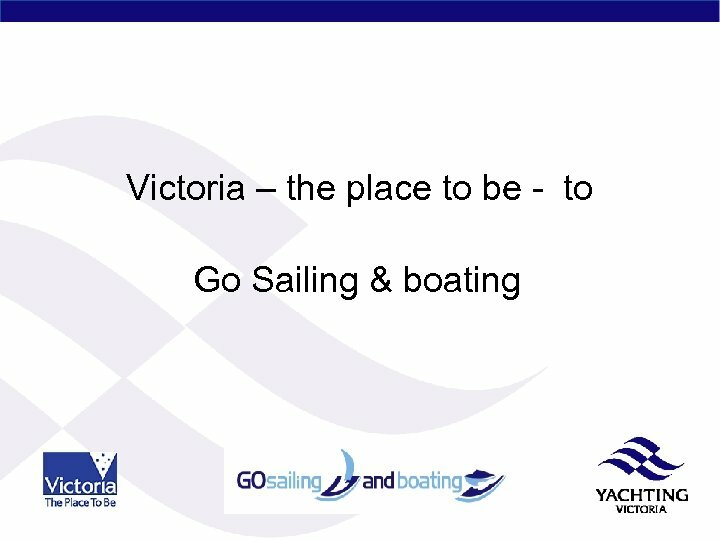 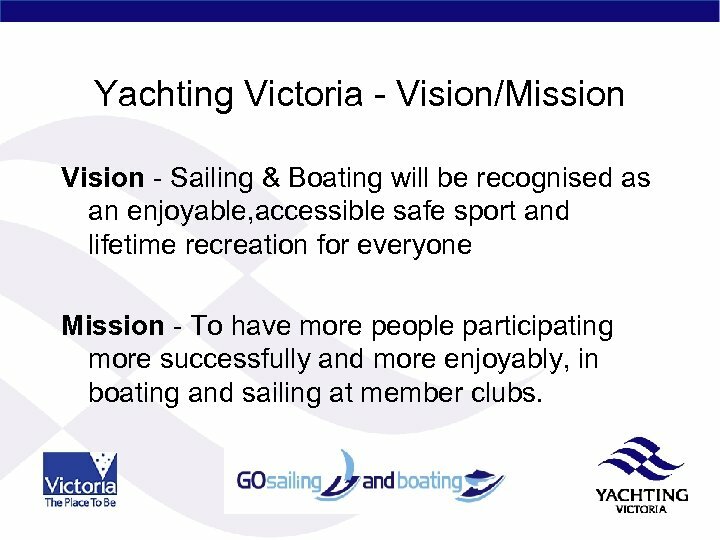 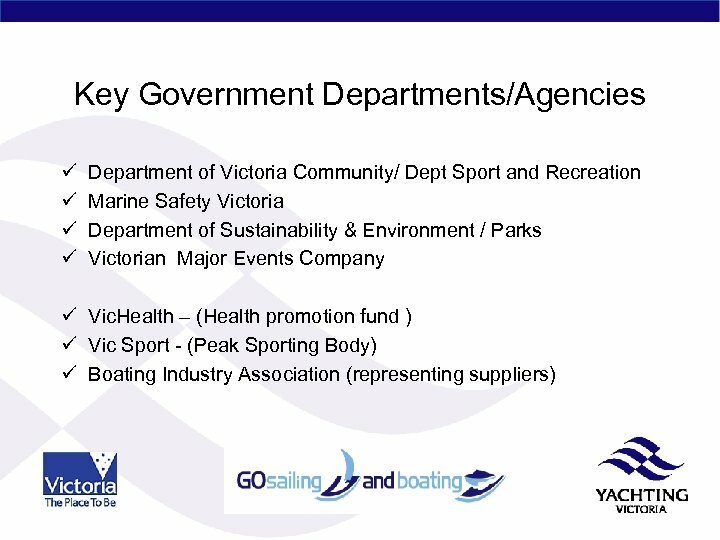 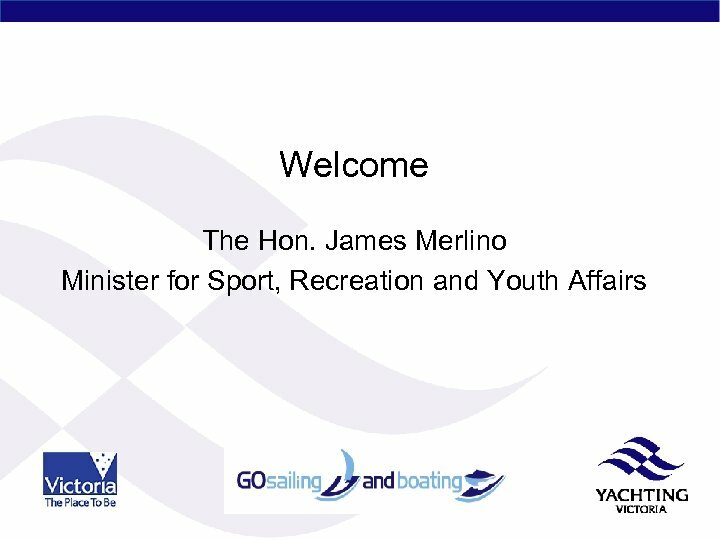 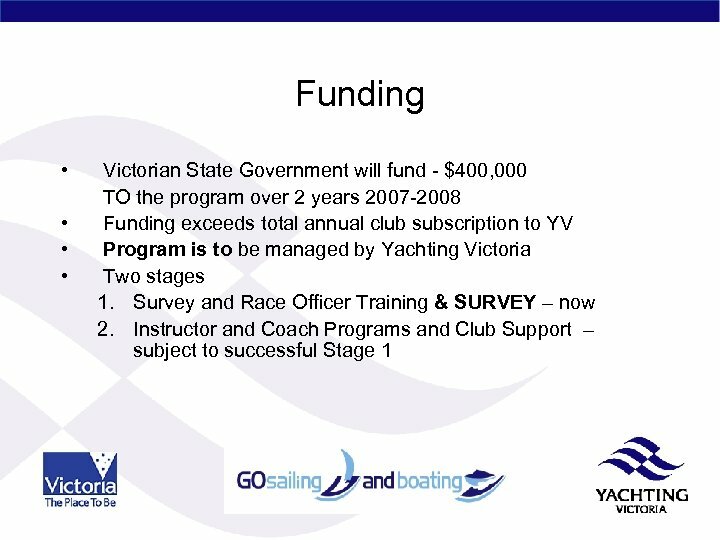 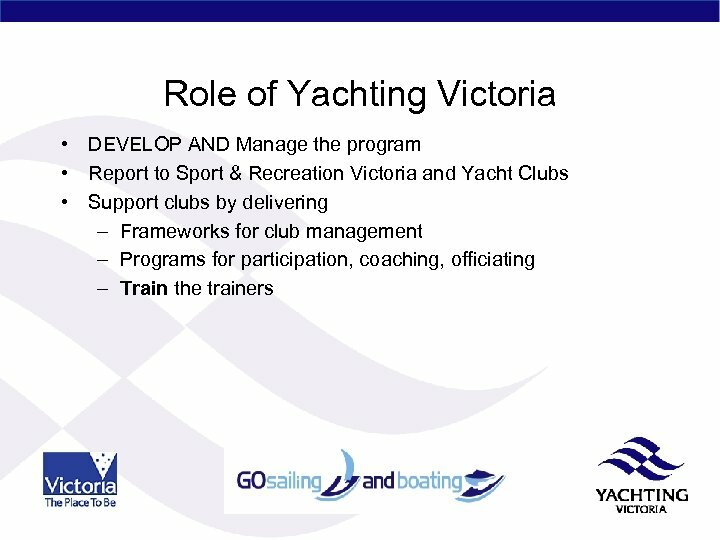 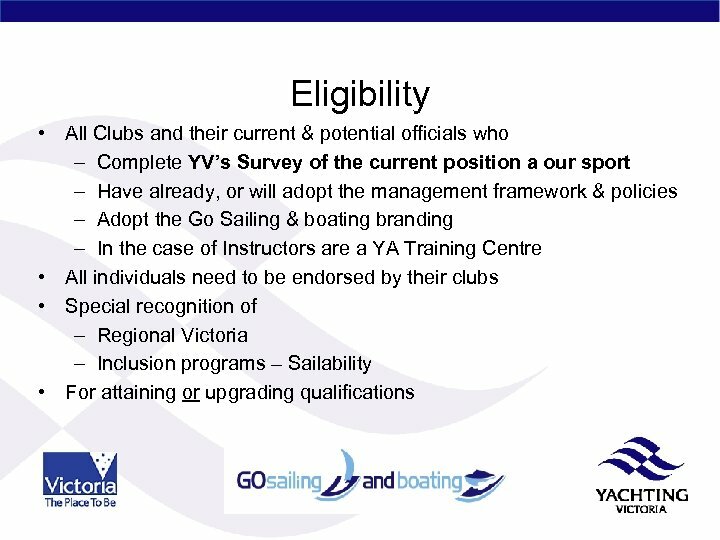 Yachting Victoria - Vision/Mission Vision - Sailing & Boating will be recognised as an enjoyable, accessible safe sport and lifetime recreation for everyone Mission - To have more people participating more successfully and more enjoyably, in boating and sailing at member clubs. 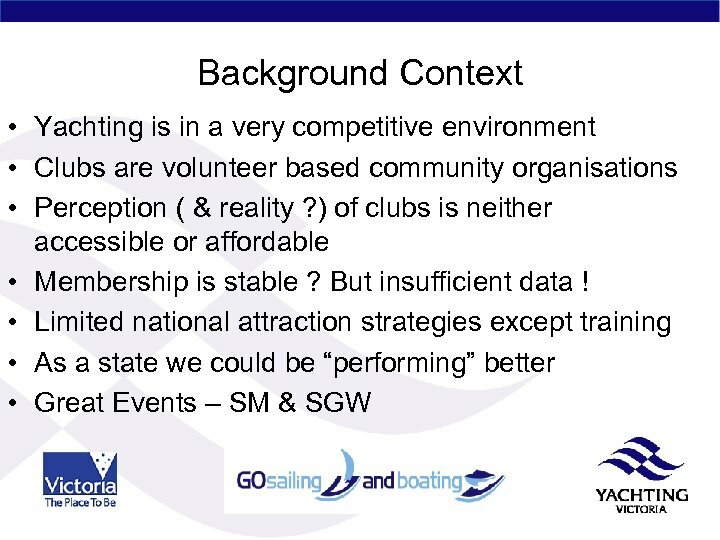 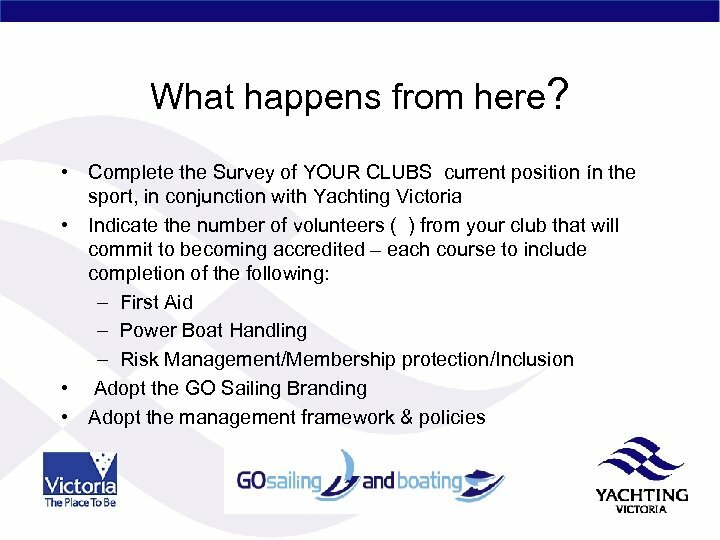 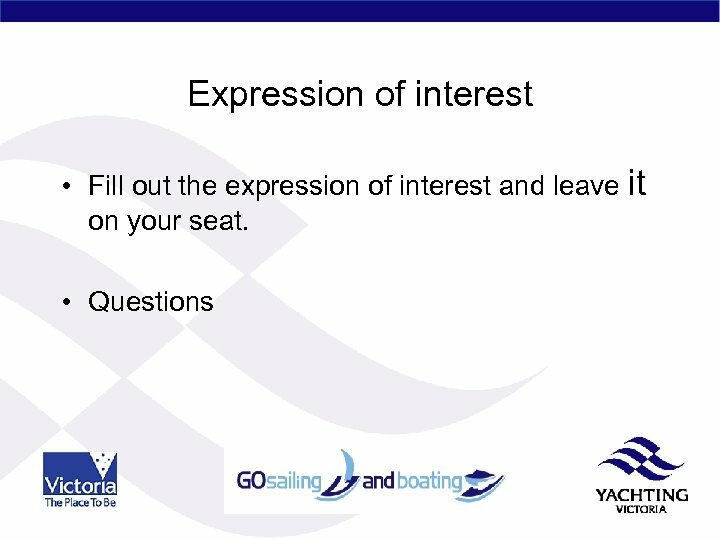 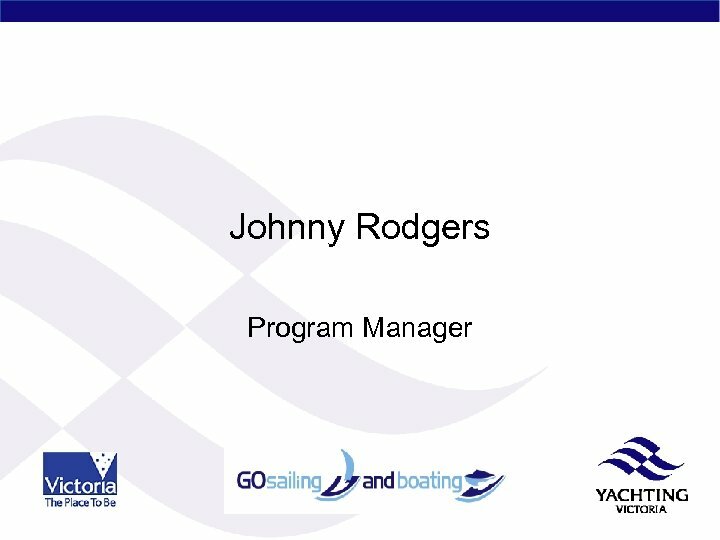 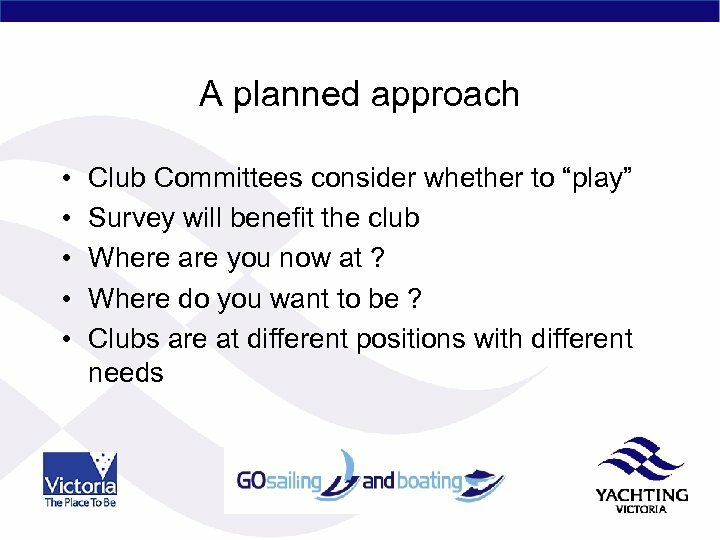 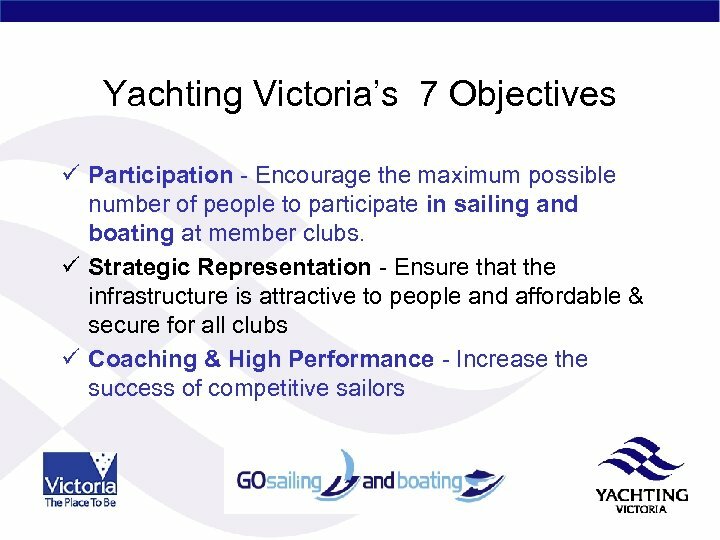 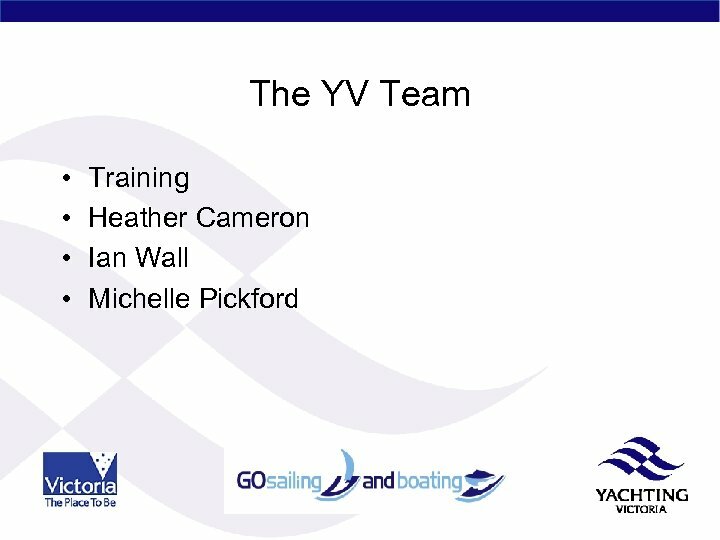 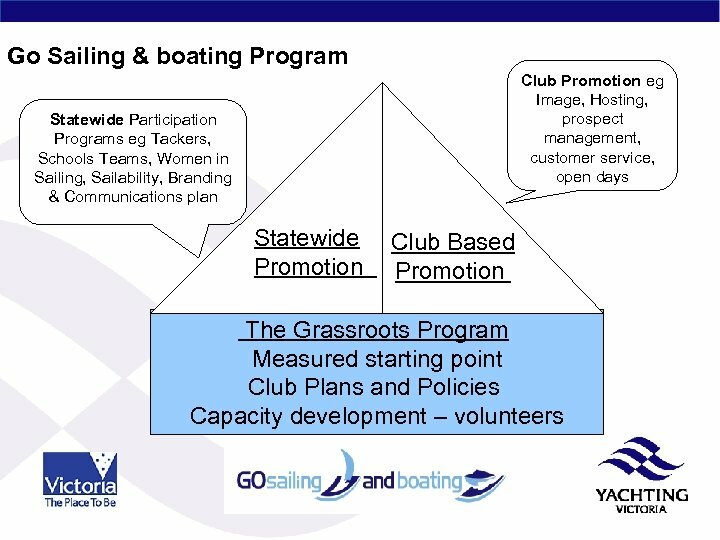 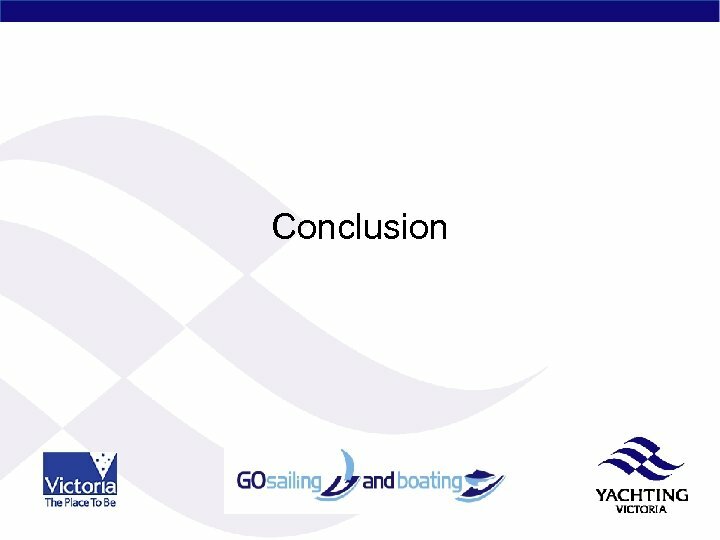 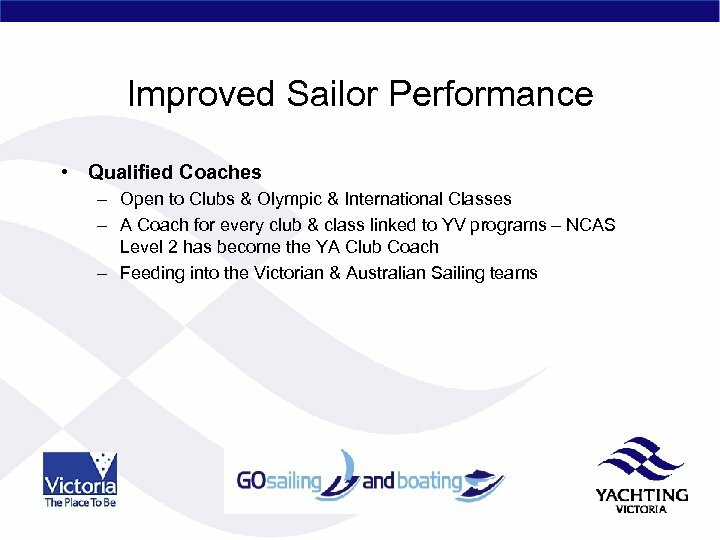 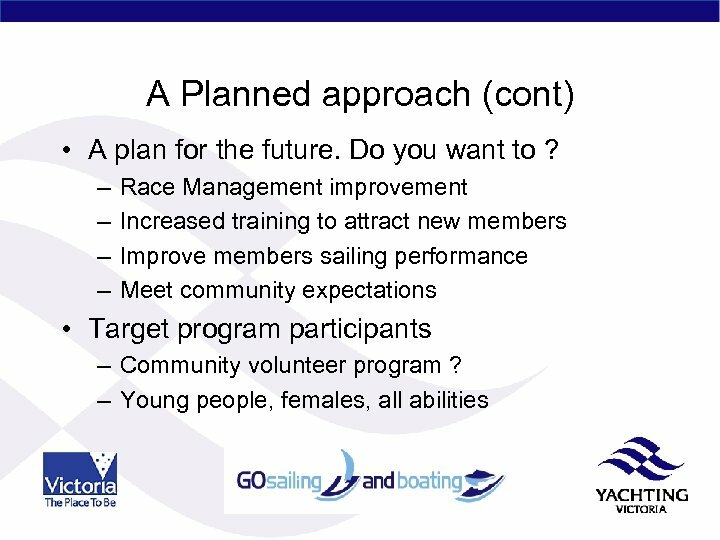 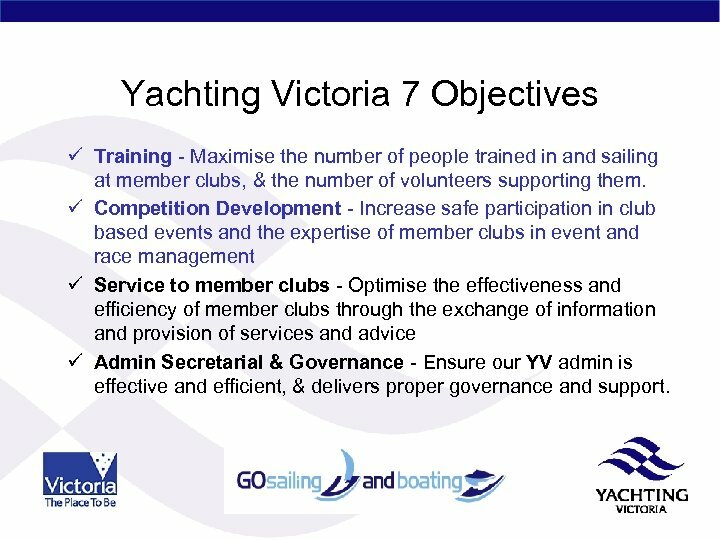 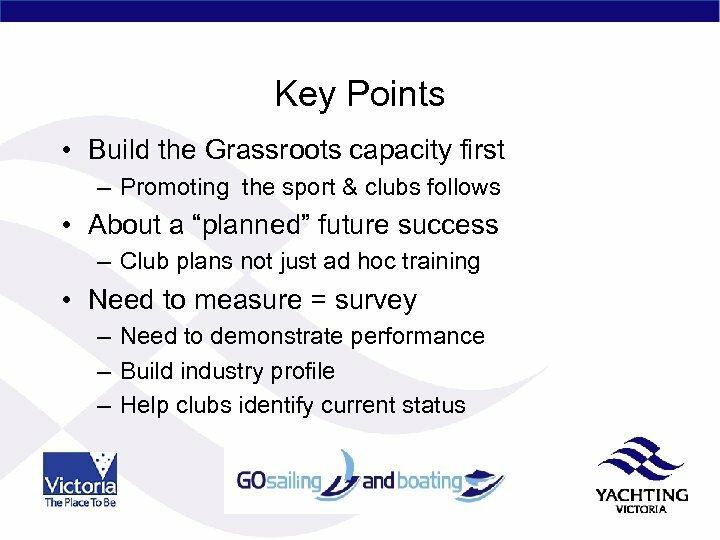 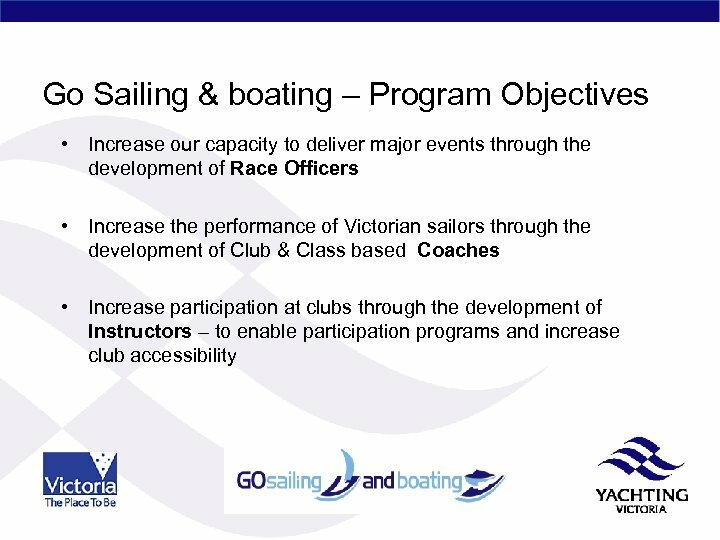 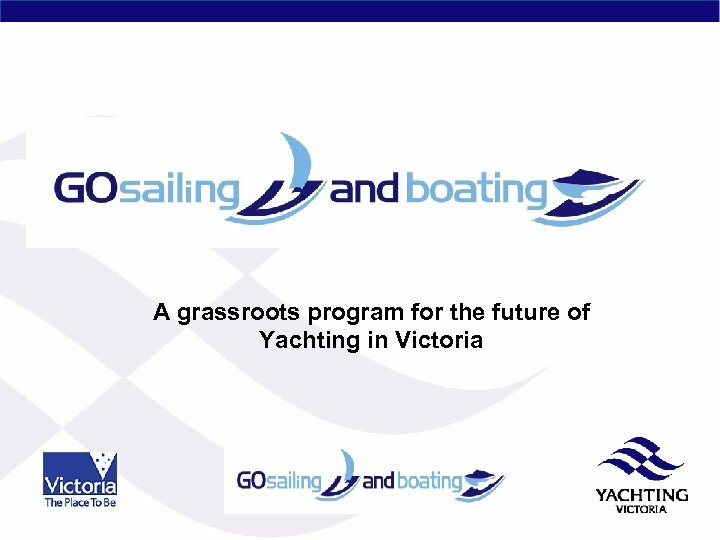 Yachting Victoria 7 Objectives ü Training - Maximise the number of people trained in and sailing at member clubs, & the number of volunteers supporting them. 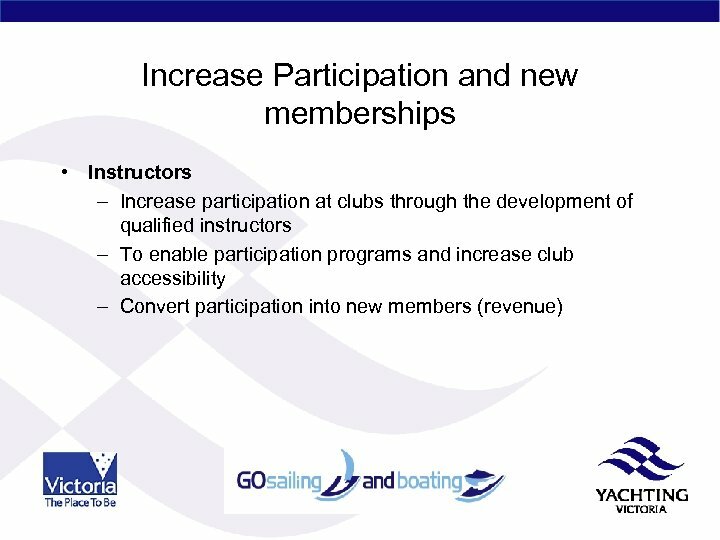 ü Competition Development - Increase safe participation in club based events and the expertise of member clubs in event and race management ü Service to member clubs - Optimise the effectiveness and efficiency of member clubs through the exchange of information and provision of services and advice ü Admin Secretarial & Governance - Ensure our YV admin is effective and efficient, & delivers proper governance and support.